About 40 volunteers including several children participated in the event. 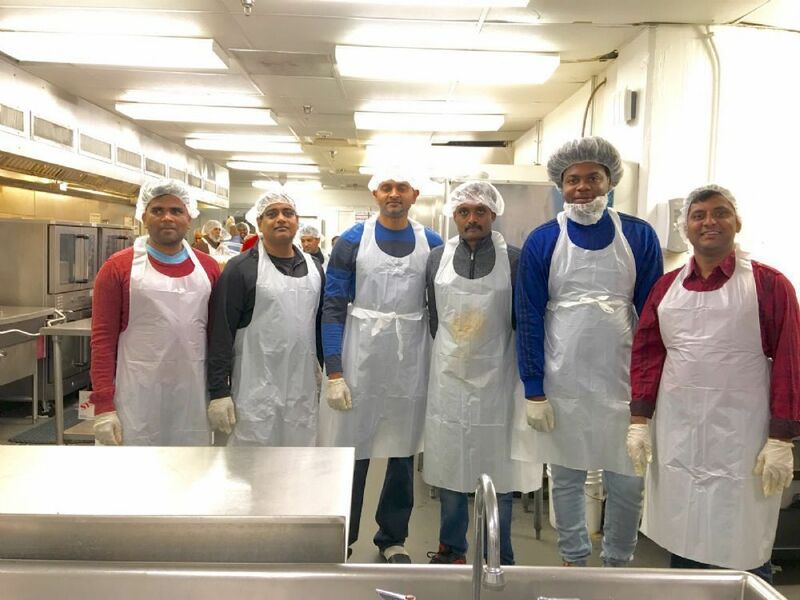 Meal preparation involved cutting vegetables, preparing salads, cooking rice, preparing rajma, packaging meals, and other kitchen related tasks. 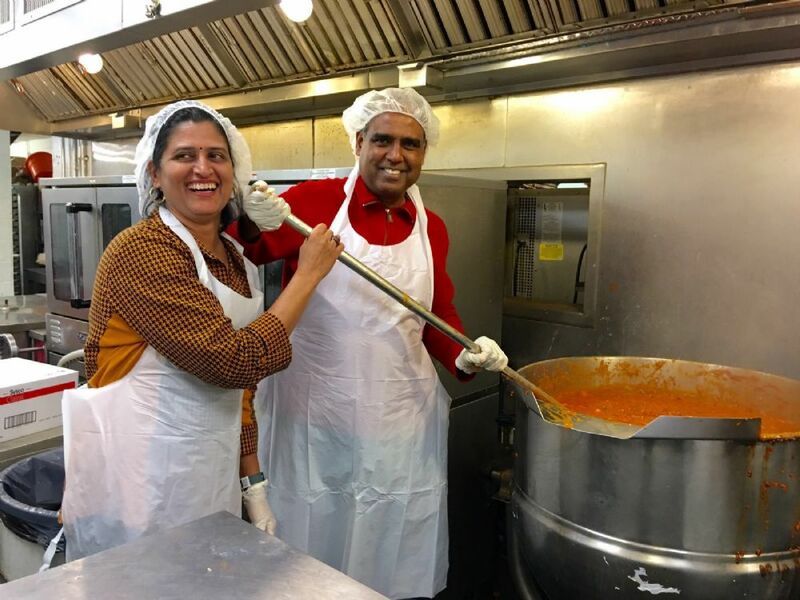 Of the 5,000 meals prepared about half are served in the DC Kitchen facility and the remaining are distributed through 18 homeless shelters, housing the homeless, battered women, needy seniors and school children. Apart from preparing meals, the team donated $2,800 to cover the cost of raw materials. 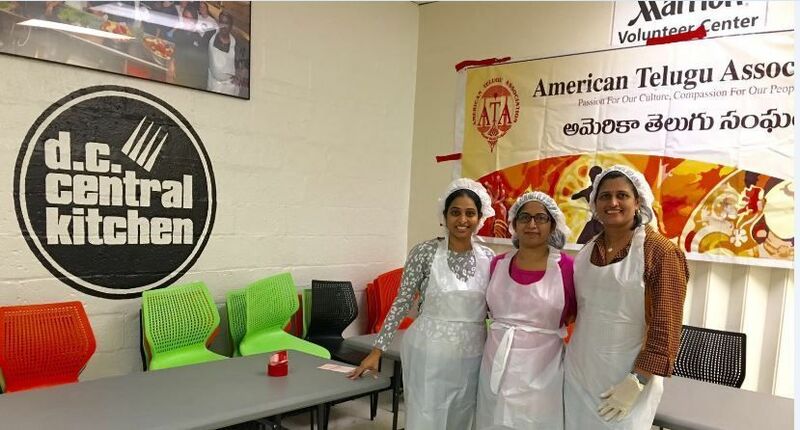 The team coordinated with Hindu American Community Services, Inc.to schedule the event at the facility. 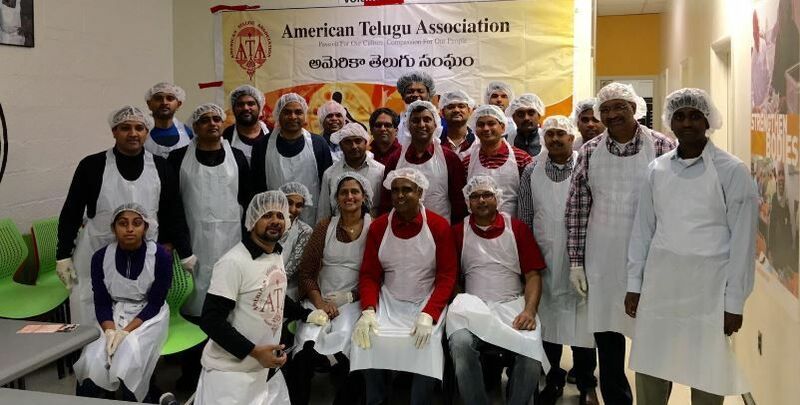 Sudheer Bandaru, Amar Bojja, Chandra Karuboina, with the help of local ATA Board of Trustees, ATA members and volunteers from Virginia and Maryland successfully coordinated the event. This event is very much appreciated on the day of Diwali by the local community.